The Supreme Court has decided to oust their top magistrate, Ex-Chief Justice Maria Lourdes Sereno. For the votes 8-6 in favor to removed her from her office and order is effective immediately. 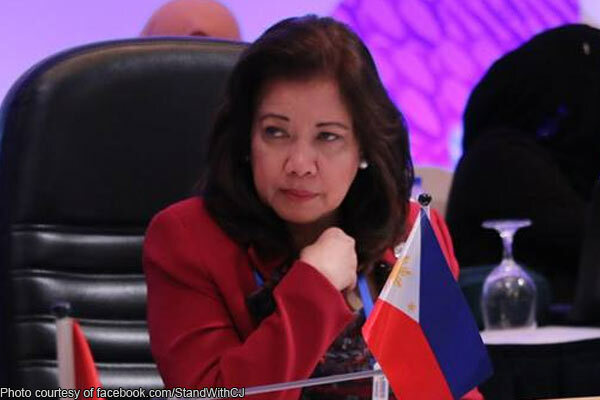 The Quo Warranto filed by the Office of Solicitor General Jose Calida is final and executory which granted its purpose to oust Sereno to the Supreme Court as Chief Justice due to her undeclared wealth and Statement of Assets and Liabilities and Net Worth. After the enbanc session Sereno went ouside the SC building to gather her supporters and said "Walo lang dapat bumoto dahil ang anim dapat ang mag-inhibit. Kaya kung tutuusin, panalo tayo. Ngunit ayaw mag-inhibit ang dapat mag-inhibit, ganyan ang nangyari" (There were 8 magistrate should vote because the 6 of them should inhibit. If you think about it, we won. Yet they won't inhibit. that's how it happened).